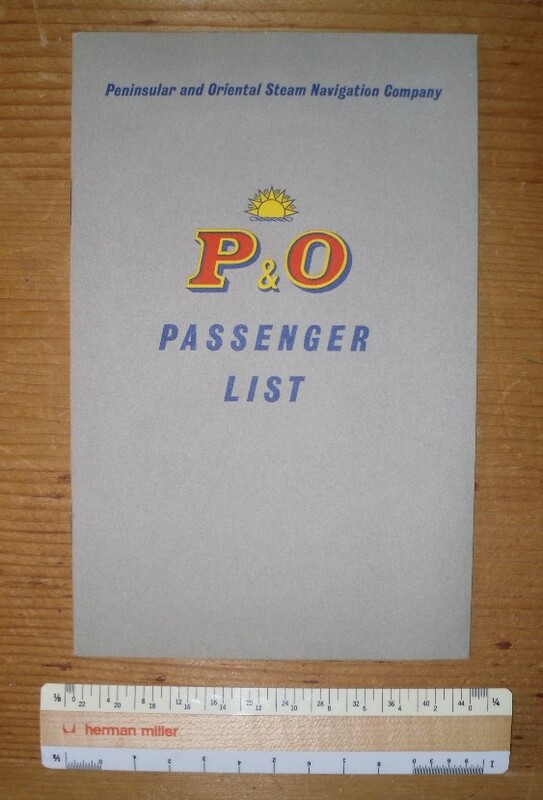 Mint Janurary1962 passenger list for the Canton. Look at all the exotic destinations for these folks .. Bombay, Aden, Singapore etc. Crisp and nice ... I'm sure it sat in a drawer for 40 years +.